Once prior knowledge has been established, lead the students in a Picture Walk of Stone Soup to preview the story. Starting on the cover, introduce genre and story elements such as character and setting. Proceeding from the front to the back, point to the pictures as you explains the events in the plot, asking higher-order thinking questions such as “Why do you think the woman added her vegetables to the soup? How do you think she feels about sharing her food? How did the soup change?” Preview any unfamiliar vocabulary and language to teach students language learning strategies. Read and map the story, using a graphic organizer such as a Venn Diagram. Using questions to guide the discussion, incorporate critical thinking strategies, such as making comparisons, cause and effect, forming opinions, drawing conclusions, speculating, analyzing characters, point of view, steps in a process, and responding to literature. Share a soup recipe with the class, and explain how recipes are written. Using plastic vegetables, discuss soup ingredients with the students. Show the class examples of recipes, pointing out how they are lists of steps in a process that tell you what to use, how much to use, and how to put the ingredients together. Show examples of measuring spoons and cups, and explain to the students that this is how ingredients are measured. 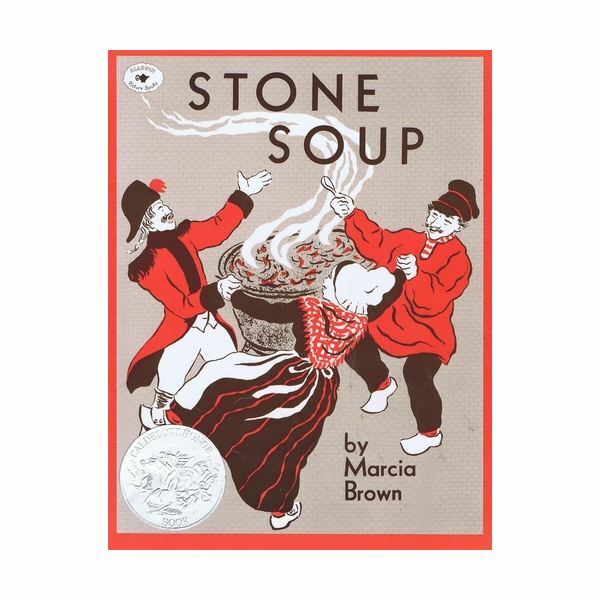 Model how to write a recipe, and have students write a draft of recipe for their version of Stone Soup. Provide a word bank of common soup ingredients so students will be able to spend their time writing, rather than trying to figure out how to spell words. Have students work with a partner to revise and edit their recipes, then provide guided practice while students are writing their recipes. Have students to illustrate their recipes to make them visually more interesting, and as a comprehension check. Provide each student with several grocery store newspaper insert flyers that you have collected. Tell them that they each have a $20.00 to spend on groceries. Explain that they cannot go over the $20.00 limit, and that they will need to show their work. They will use their recipes to construct their grocery lists, then cut and glue the needed items on a piece of construction paper. Make sure they include the price on the picture, or write the price beside each item. To wrap-up and review the unit, Have each student draw their favorite part of the Stone Soup story. For students with low English, this is a good non-verbal way to check their comprehension.Students will share their favorite part of the story with the group.